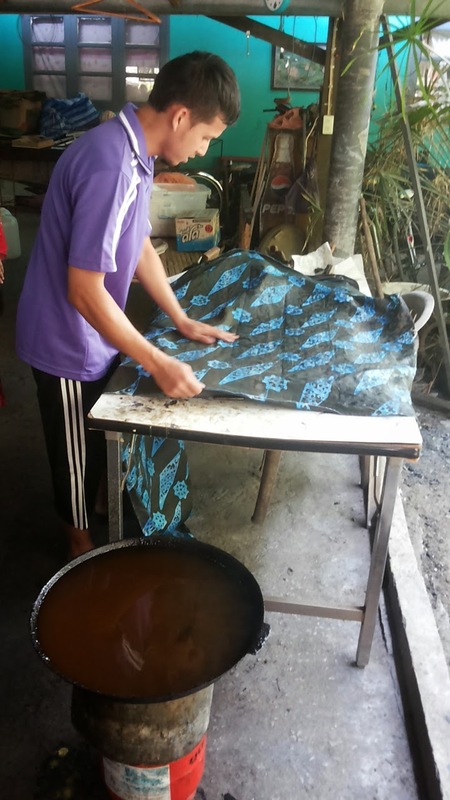 Today, I updated my Etsy store info on how batik kaftans are made, the process then delivered straight to your doorsteps. Thought it would be nice to replicate on a blog entry as well. 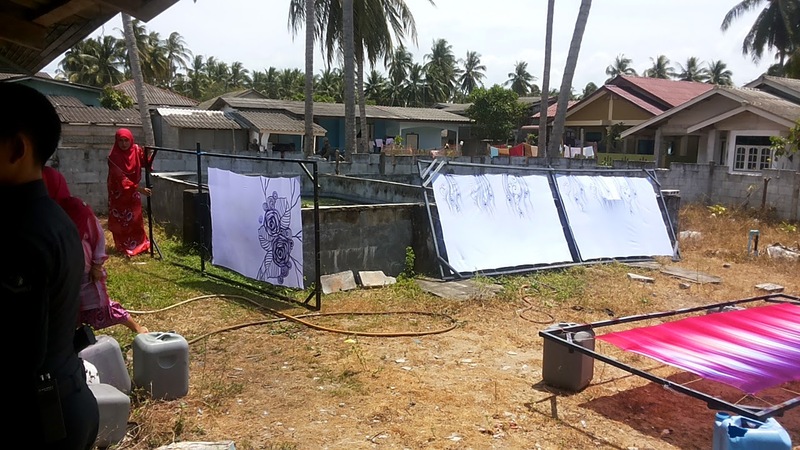 First, you would definitely to draw something for the kaftans. 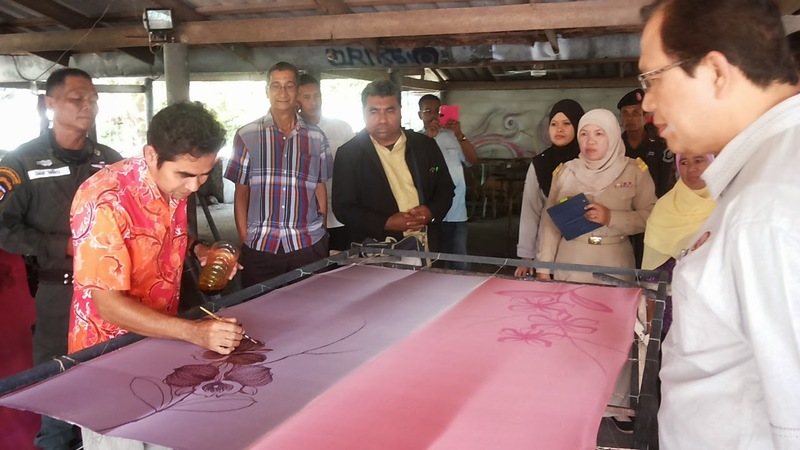 A white cloth usually rayon viscose mix would be stretched on a wooden frame, before a motive is drawn on it using a tjanting. After the drawing is finished, it is left to dry for a bit. Sometimes the blocking method is used of which a copper block would be dipped in melting wax and stomp on white clothing. Then of course the colouring process before its left to dry again. I definitely love this picture. 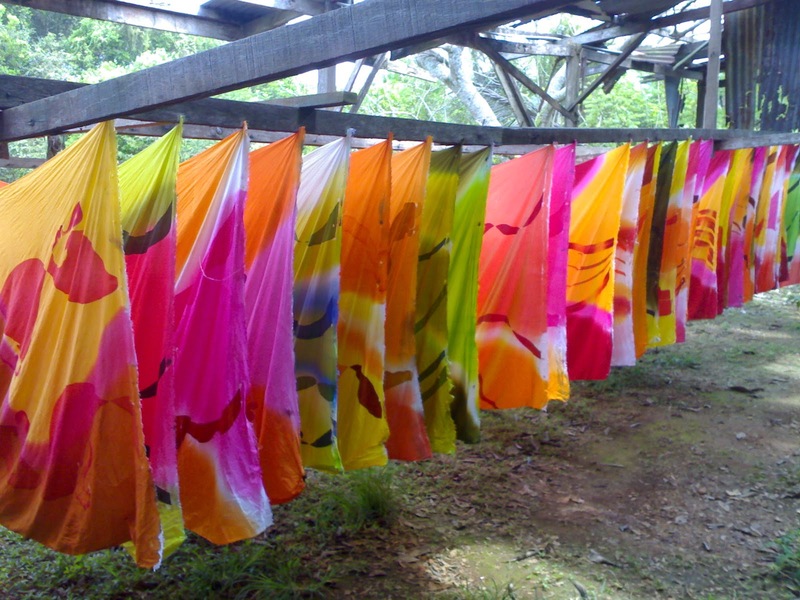 The kaftans are washed to remove the excess dyes before its hung to dry. 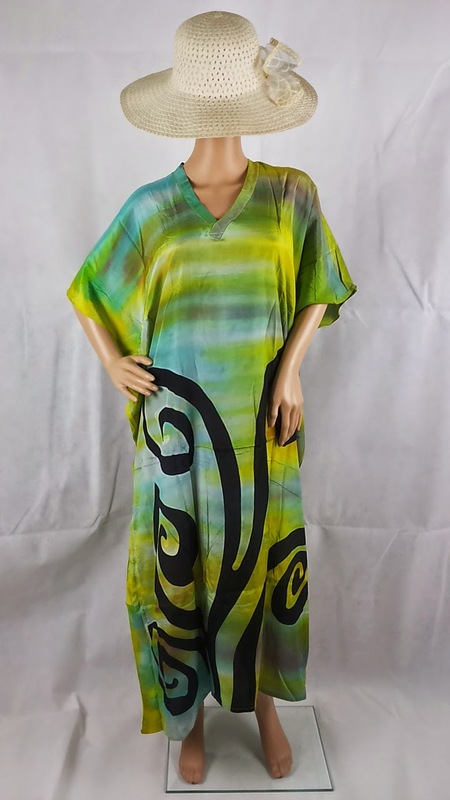 However, I strongly recommend you to wash the kaftan separately for a few time first to ensure no excess dye is left - which might ruin your load of laundry. 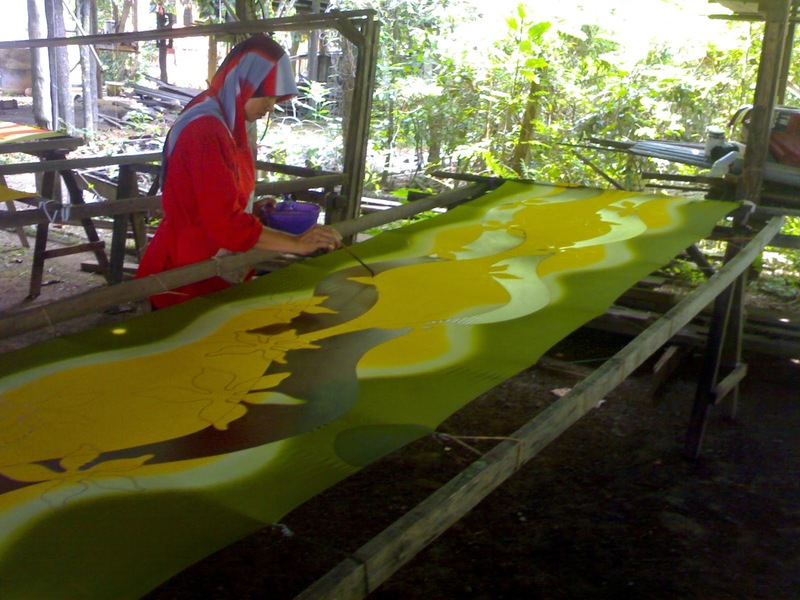 I have to say, I source these batik from several local manufacturers. I love batik kaftan and wore them at home 99% of the time. So, after selecting, I took some pics and post it online. After the order is placed, I will try to post it within 3 working days. 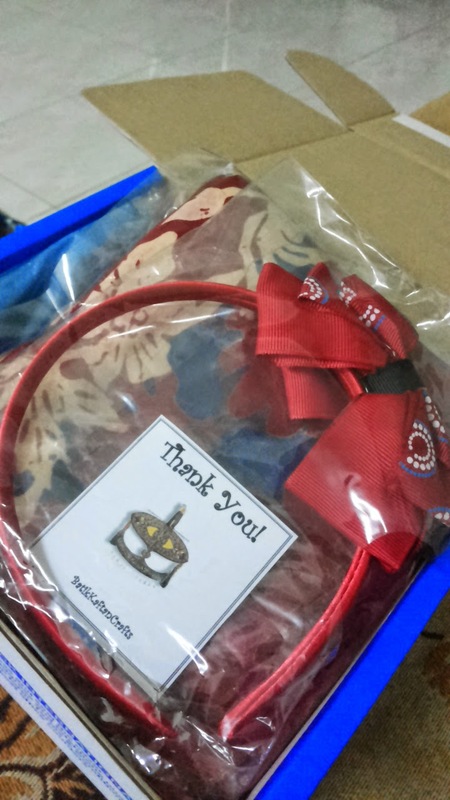 Depending on quantity, I love to add in a small token of appreciation too.